Imagine being surrounded by water … dirty water. Imagine it has rained so hard that your house is submerged, your furnishings are ruined, your crops are gone, the roads are damaged and the phone lines are down. In fact, there is so much dirty water that all your sources of clean water have been contaminated. There is water everywhere, but you have nothing to drink! For more than three months, this was Sundari Namashudra’s story. Sundari is a widow with grown children, living in the Assam region of India. Last summer, some 43 million people like her were affected by flooding and landslides caused by monsoon rains across India, Bangladesh and Nepal. Her son, a fisherman, struggled to support her as people were scared to buy fish from contaminated sources. 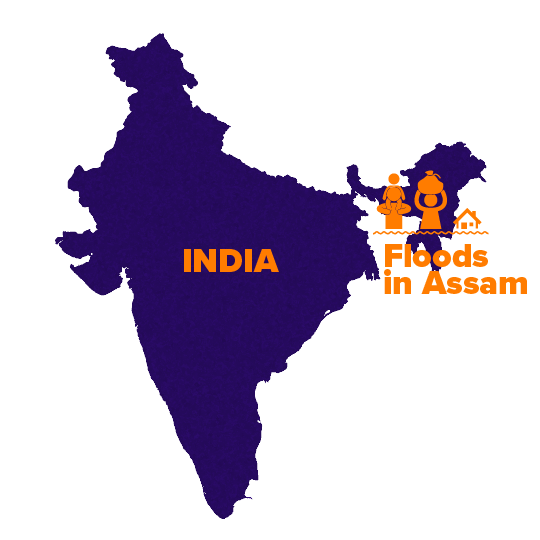 The Humanitarian Coalition – through its member organization Oxfam Canada, with the support of the Canadian government and Canadian donors – responded to the humanitarian crisis in Assam by providing clean drinking water, food supplies, emergency shelter and hygiene kits to more than 23,000 people, including Sundari. She received two buckets to store rainwater and chlorine tablets to treat the water. 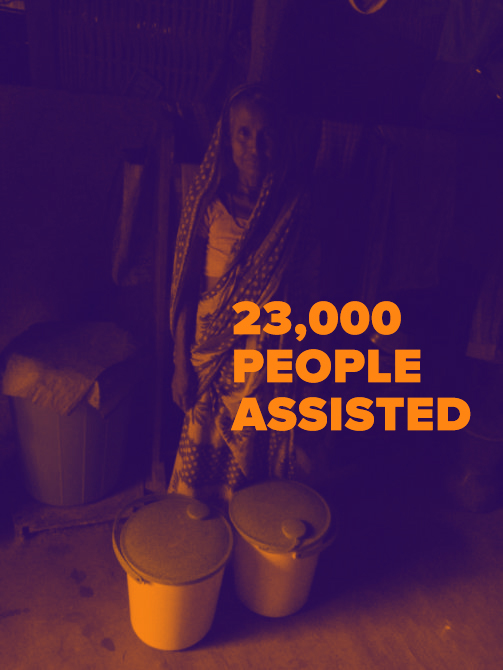 Sundari and the other members of her community were also given hygiene kits to help prevent the spread of disease. Some of her neighbours were provided with hand pumps and toilets. Community-level water sources were repaired and chlorinated. And now, surrounded by water, Sundari finally has something to drink.